With a large range of materials and overprintable options available, Onpack has you covered for all your blank and overprintable custom label and sticker needs. Our wide variety of substrates and finishes can cater to all overprint machines and requirements such as Direct Thermal, Thermal Transfer, Inkjet or hand-written markers, and can be fully customised to size with your own business logos, unique text, fields and brand ready, for overprinting, or simply be supplied blank for you to overprint your own information or images at your leisure. Thanks to our state-of-the-art technology and the extensive knowledge of our team we are able to offer tailored advice on each individual label need to ensure seamless label application and an outstanding finished result. 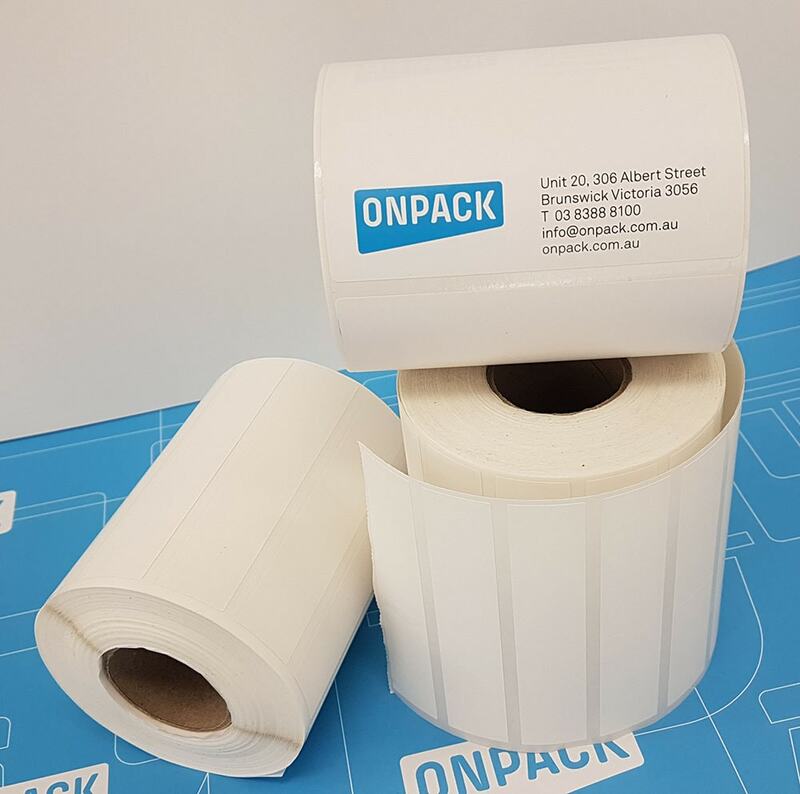 From carton and delivery, stocktake and cataloguing, to batch/expiry and quality assurance, Onpack can supply you with overprintable labels to suit all purposes within any business. Our printing capabilities allow for short, medium and long runs, shortened lead-times, reduced costs and high-quality print. Blank and printed overprintable labels available with the option to fully customise your own design, text and images. 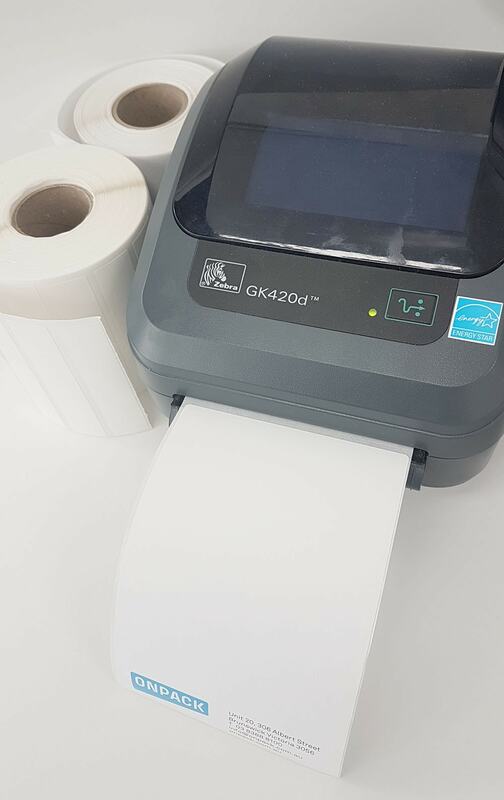 Suited to all overprint machine types such as Direct Thermal, Thermal Transfer, Inkjet and manual handwritten. Suited for manual, semi-automated and high-speed labelling application. Able to customise the adhesive and stock to ensure adherence to all surfaces such as cardboard, paper, PP, PE, metal and wood. Variable Data capabilities for printing of batch and expiry, pricing or tracking details on each individual label. Manufactured with high performance adhesives and materials, tailored to each individual business requirement. Our dedicated team can provide personalised custom printed label solutions to suit each unique labelling requirement, ensuring that your packaging perfectly suits your brief in design, material, adhesive and quality. Follow the links to request a Sample Pack or quote.